Singapore Literature in English: an Annotated Bibliography was originally published in book form in 2008, and featured distinctive, even unique features, such as historical “Notes”, abstracts of contents, and information about the availability of each title. The editor-compiler, NTU Professor Koh Tai Ann, collaborated with NTU Libraries to digitize the bibliography on NTU Libraries’ digital projects platform and make it available online in 2013. This digitization and renewal of the Bibliography now enables a systematic approach to updates and edits whenever necessary; the interactivity introduced also enables detailed and insightful searches by laypersons and academic researchers alike. For example, it is now possible to understand and visualize how Singapore Literature in English has developed, by looking at the statistical data and indications of the most popular genres published, to tracking granular details about the kind of content being written about. There have been more than 25,546 visits to the Singapore Literature in English: an Annotated Bibliography Digital Project site since its launch in October 2013. The average number of visits per month to the digital project is 750, or 25 visitors per day. About 58.51% of user sessions are from Singapore and a significant percentage, 49%, are from countries outside of Singapore. The top ten countries outside Singapore where user sessions originated are – United States, Philippines, Malaysia, India, United Kingdom, Russia, China, Australia, Japan and Germany. One impact of the Bibliography, as explained by Professor Koh, is that it has facilitated and inspired the creation of other more specialised digital resources and anthologies by local institutions and other compilers. Examples include the newly launched Poetry.sg portal, which lists the top 50 poets and their works; the updated Literary Arts Resource Guides by the National Library; the National Arts Council’s Directory of Writers and their works – as well as anthologies such as Written Country: The History of Singapore Through Literature (2016), and Unfree Verse: Singapore Poetry in Form (2017). The feedback received from Professor Koh listed below demonstrates how she uses the Annotated Bibliography; as well as the way other stakeholders in Singapore’s literature community have benefitted from the project, including users outside of Singapore. Such feedback encourage libraries’ efforts to co-create and build digital resources that provide universal online access to promote Singapore Literature to a global audience. 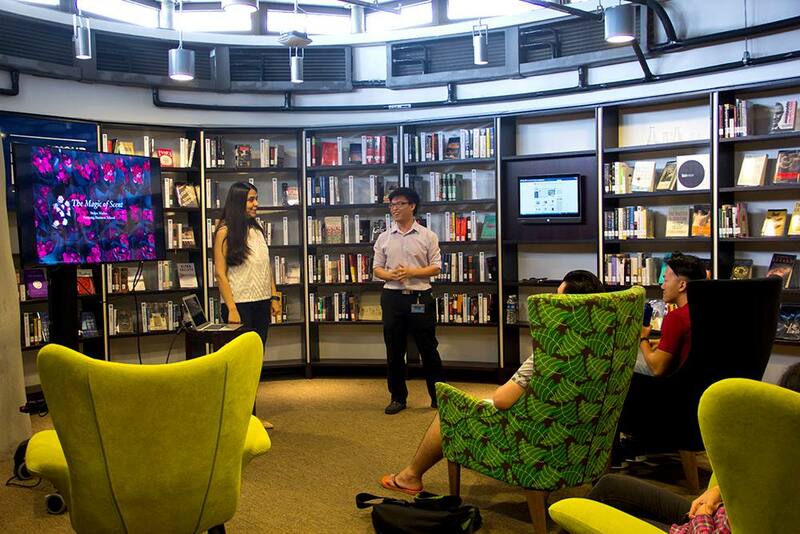 Through these initiatives, libraries can go beyond their physical boundaries to develop online resources and new platforms for users in future, to discover and share their interest in Singapore Literature. Vincent Wong, NTU Libraries subject librarian for English Literature, has worked with Prof Koh on the Annotated Bibliography to maintain and update content for the digital project ever since he joined NTU in 2015, taking over from the previous Librarian, Emma Wilcox, who was part of the start-up team. He shares some of the challenges he faced when working on the bibliography as a digital project. Q: What are some challenges you have faced while working on the Annotated Bibliography digital project? A: Aside from the traditional challenges faced when working on a bibliography, the Annotated Bibliography in digital format also presents some unique challenges that may be specific to only such digital projects. One such example would be in attempts to customise the platform for the Annotated Bibliography. The platform used is a great fit to display and highlight the annotations and details curated by the Professor for the Annotated Bibliography, but tailoring its multitude of functionalities to a Bibliography is sometimes not possible. Platforms designed to be modular and easily customised to fit a variety of different objectives would help a lot for such digitization efforts. As someone from a humanities background, I find that balancing the needs of what works best with the content against the available technology and systems can be a struggle. This challenge, however, is part of what makes working on the Annotated Bibliography so exciting – finding creative ways of solving these problems is a constant and ongoing learning process. Contributed by Vincent Wong and Lena Sam, NTU Libraries. Special thanks to Professor Koh Tai Ann for her comments and feedback.